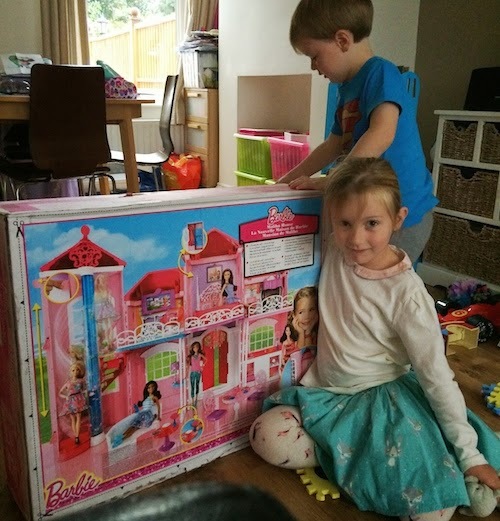 Our house feels like Barbie HQ at the moment! 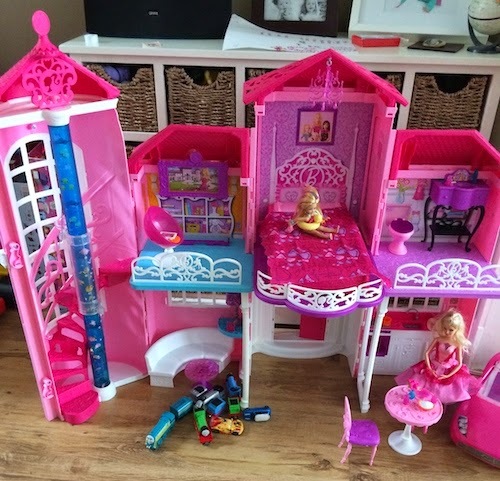 Along with all the other Barbie stuff Isla already owned she was very happy with the addition of a Barbie Malibu House, which is derived from the web programme, Barbie, Life in the Dreamhouse, something Isla has watched on YouTube a fair bit recently. 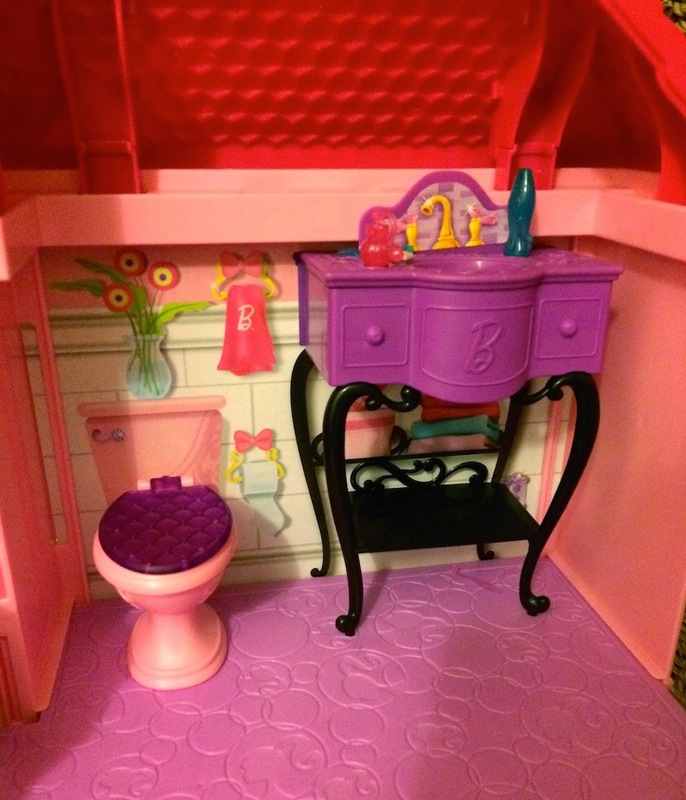 The house has 6 rooms for Barbie and comes with some fixed furniture and other pieces of furniture that can be moved from room to room. The main bedroom also doubles up as a shower room with the clever use of a bed that you can stand up to become a shower and wardrobe. There are lots of small pieces in the set, food, drinks, items for the fridge as well as a tiny iPad and remote control. I would say if you have any really small children in the house, be wary of these pieces. Fortunately this isn't a problem for us. 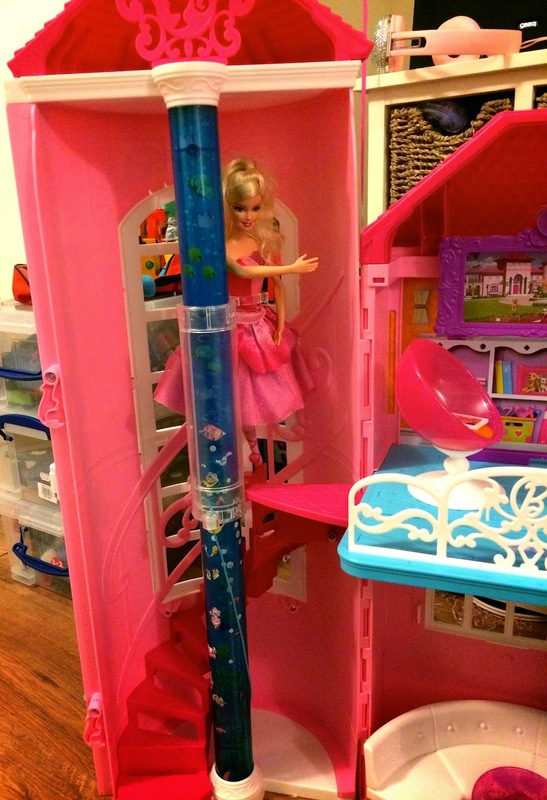 The staircase section of the house has an aquarium pillar going through the middle to which you attach your Barbie. 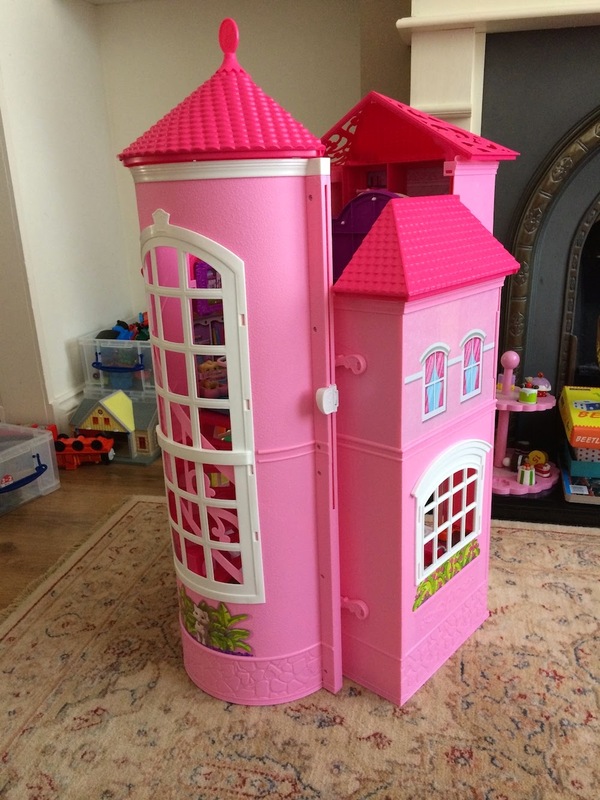 Using the pulley system, Barbie can take the staircase to access the upstairs areas. I have found this a bit tricky to use, it needs to be a smoother ride for Barbie and seems to take a bit of effort for Isla to work and she is 5. One of the upstairs rooms is equipped with a holder that you can hang on the wall to put your iPhone in so Barbie can watch herself in episode of Life in the Dreamhouse! From a parents perspective I like that it folds up quite compactly. We live in a two up two down and with the kids toys gradually taking over the house, it was good to know that we can tidy this away quite easily. 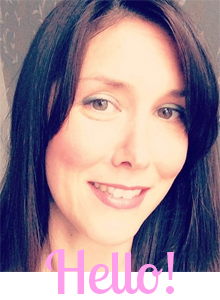 We were sent the Barbie Malibu House free of charge for the purposes of this review.